Bristol Yes, the Affordable Care Act is not the same as single-payer, national health insurance assuring good standards and care for all, and we all know that, but that doesn’t mean that the constant tensions and contradictions won’t continue to create a centrifugal force on all sides to force more change. There are many cases in point. · The guerilla warfare continues against enrollment. The Louisiana legislature passed additional requirements, background and fingerprinting checks, following the lead of Texas to curtail and discourage the work of navigators by whatever name they are called. · In Arkansas, where there is a hybrid system, 4000 people were just ejected from the Affordable Care Act based on miscalculations by the federal marketplace website. · The federal Center for Medical Services for a second year released figures on a comprehensive survey of hospitals and medical procedures including the one-hundred most common, and no spoiler alert is necessary, hospitals managed on average to increase their prices almost across the board. They aren’t getting the memo, my friends. …a growing body of evidence suggests that the very condition of living with no money, in a tumultuous environment, and amid stark inequality can alter individuals’ gene expression. What’s more, the pressure of being poor sometimes weighs so heavily that the body pumps out more stress hormones, which ravage the immune system over time. We’re making people rats on a treadmill, working harder and harder to make the same amount of money, and killing themselves in the process as they fall farther and farther behind. And, in one of the amazing ACA contradictions, businesses are coming to the conclusion just like our union, that the health care insurance available through the federal marketplace is both better and more affordable. So where my complaint has been that technically compliant company insurance offerings are practically useless for lower income workers, there are significant numbers of businesses looking at the same set of circumstances and costs and coming to the same conclusion that they could pay the same – or less – and provide better insurance by supporting individual worker choices through the marketplace. In another Obamacare “man bites dog” story in the Times, a smaller business owner, ironically involved in the healthcare industry himself and believing in the “morality” of health insurance, was looking for a solution for his company, much as we have been doing, and found one, he hoped, in an employer “defined contribution plan” administered by a company in Utah. It largely frees the company from the headaches of arranging health coverage by reimbursing employees for insurance they buy on their own. 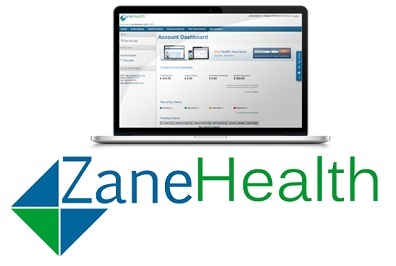 At the same time, it allows the company to help its employees find affordable, often cheaper, options on the individual market through Zane. And, importantly, it promises that the contribution the company makes to its employees’ coverage is tax-free for the employees and excluded from payroll taxes for the employer. The problem as we have discussed recently is that the IRS restatement of regulations seems to be banning these kind of perfect fixes favored by both businesses and lower paid workers. They are hoping it’s all legal, just as I am, but lawyers in droves are saying there may be a loophole here that exempts premiums from the requirements, but all are predicting a comeuppance in 2016. The insurance agent is essentially selling the dream of what Obamacare should be, not what it is. He may think he’s asking a rhetorical question and knows the answer, but he doesn’t. Unfortunately, the answer at this point is that, yes, the government would have to go after that business, until the government gets around to fixing the problems for workers and businesses with the Affordable Care Act. This entry was posted in Citizen Wealth, Financial Justice, Health Care and tagged Affordable Care Act, employeess, obamacare, small businesses, Zane Health by Wade. Bookmark the permalink.